Some experts say the majority of Chechen fighters in Syria are now recruited from the Pankisi Gorge in Georgia. Inevitably many of them will return home one day, to an area of the country where just one percent of youth are employed. 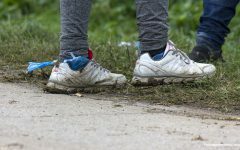 On June 21, 2014, in the blazing hot midsummer sun, the United Nations High Commissioner for Refugees (UNHCR) held an event for World Refugee Day in an especially appropriate location: the Pankisi Gorge. On this idyllic, picturesque site, where the surrounding green mountains are poised over glowing fields of wildflowers, it is difficult to imagine that so much strife and serious misfortune has befallen the area. But not only is Pankisi home to refugees who fled the violence in nearby Chechnya in the 1990s, it is increasingly also a suspected safe haven for extremists. An estimated 200-1,000 Chechens are currently volunteering with the Sunni rebels who are fighting to topple Syrian President Bashar al-Assad in a conflict that has created a large number of refugees and displaced people. And while it is unclear exactly how many of these fighters are from Pankisi, it’s been confirmed that several of the conflict’s most prominent leaders are indeed from the area. And according to Murad Batal al-Shishani, a London-based expert on Islamic groups and a specialist on Islamic movements in Chechnya, the majority of the Chechen fighters in Syria right now are from the Pankisi gorge. Just eight miles long and two miles wide, the Pankisi gorge is located south of the Georgian-Chechen border in the municipality of Akhmeta. Home to the Kists, an ethnic group that traces its origins back to the Chechens of the northern Caucasus, the entire expanse of the Pankisi gorge has a population of around just 15,000 and an unemployment rate of about 90 percent. During the 1970s and 80s, the difficult economic conditions encouraged many young Kists to immigrate to Soviet Russia, and the gorge’s population dwindled as a consequence. But the number of residents in the region has doubled over the past decade due to an influx of refugees from Chechnya. While many of these refugees have since returned home, the influence of those who remain is significant. 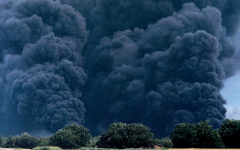 Since the fall of the Soviet Union and the onslaught of the wars in Chechnya, the international community has expressed concern that al-Qaida and other extremist groups may have a base of influence in the gorge. Allegations that citizens of Arab countries are financing Islamic organizations have sparked additional concern, and security analysts have long suspected that the gorge is used as a transit route for arms and militants travelling between Russia, Afghanistan, and parts of the Arab World. 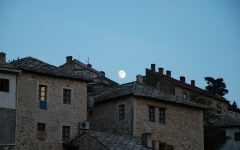 In 2012, just months before the parliamentary elections that dealt a blow to erstwhile President Mikheil Saakashvili’s United National Movement, a special operation against rebel factions was carried out in the vicinity of Lapankuri. It resulted in the death of eleven members of alleged armed rebel units. The Georgian Interior Ministry later confirmed that two Georgian citizens from Pankisi and five Russian citizens were among those killed. The young men who lost their lives in the attack are now buried in the Duisi cemetery, located on a beautiful stretch of land nestled behind the town’s main Mosque and a 10th century watchtower built during the reign of Queen Tamar. “That’s my brother, ” a man in his late twenties mumbled as we stood observing the graves. “We still don’t know why he died.” When I asked how many people from Pankisi he believes are fighting in Syria, the man shook his head. “I couldn’t tell you exactly how many,” he said quietly in Russian, “but I think there are a lot.” When I asked if any of his friends are currently fighting in Syria, he turned and peered at me from under his baseball cap, a wry smile forming across his lips. “Not my friends,” he said quickly. He still doesn’t believe his brother was guilty of any crime. 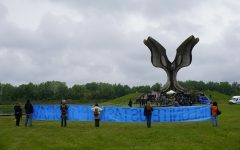 Accusations that Muslims in Pankisi had begun practicing a version of the faith known as Wahhabism or Salafism, first surfaced in the spring of 1997, an unstable time characterized by the tumultuous rule of the recently deceased former President Shevardnadze, and the very end of the first Chechen war. In the early 2000s, Russia carried out several bombing raids on the gorge, targeting Chechen combatants. Antipersonnel mines still litter the area to this day. According to Georgian scholar George Sanikidze, many newly converted Chechen Wahhabis arrived in Pankisi with refugee status and began preaching and proselytizing to young Kists. While the definition of Wahhabism is contested in academic circles, it’s widely used to describe a form of so-called “pure Islam”. Wahhabis oppose all practices not specifically sanctioned by the Koran. They also deny the role of the teacher, an important figure in the Sufism traditionally practiced by Kists. But local residents claim that the generational divide between older Sufis and younger Wahhabis, and the differences between Chechen and Kist residents have been fabricated by outsiders intent on lending an air of exotic mystery to an oft-misunderstood region. 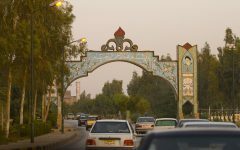 According to a local resident who runs a guesthouse for tourists interested in the region’s stunning landscapes, the purported schism between older Sufis and younger Wahhabis is grossly over-exaggerated. “It is all Islam,” she said emphatically when questioned about the alleged generational divide. “After the collapse of the Soviet Union, people were free to learn to read Arabic and study abroad. They began to interpret the Koran more literally and follow its teachings. This would have been impossible for the generation growing up in Soviet Georgia, where religiosity was more than sternly frowned upon,” she explained. A return to a stricter interpretation of Islam is thus not dissimilar from the revival of Christian beliefs throughout the rest of Georgia during the post-Soviet period. While she believes that the older generation is occasionally puzzled by some of the newer traditions, she doesn’t see any great conflict brewing. She also rejects all allegations that Saudis or other foreigners are giving people money to attend the new red brick mosque in the centre of Duisi. According to Murad, the Imam of the Duisi mosque who asked to be identified by his first name only, both Chechens and Kists flock to the daily prayers seeking guidance, and members of both ethnic groups have left to go fight in Syria. When questioned about why young men from Pankisi are leaving Georgia for Syria, the Imam was quick to conclude that many in the community, himself included, believe that it is the obligation of devout Muslims to protect Muslim women and children wherever they are persecuted, whether it’s in Russia, Syria, Spain or Germany. Murad also eliminated any uncertainties about the rumoured flow of foreign money into the religious community in Pankisi. He readily acknowledged that wealthy individuals from Saudi Arabia are directly funding his mosque’s activities. As the military victories of the Islamic State of Iraq and Syria (ISIS) dominate international news coverage of the Middle East, there is at least one Pankisi native at the forefront of the group’s activities. Omar al-Shishani, born Tarkan Batirashvili in the village of Birkiani in 1986, is the leader of the group’s northern sector. And while Russian-speaking Islamists represent a fraction of the estimated 17,000 rebels fighting Assad, many have risen to significant positions of power due to their reputation for fearlessness and their experience fighting a standing army in Russia. Batirashvili’s extremism, however, is not the norm — even among Chechens fighting in Syria. Many other Pankisi natives have reportedly left his command after refusing to pledge allegiance to ISIS’s leader or because they did not want to be affiliated with an organization deemed extremist, even by Syria’s standards. According to a report by the Jamestown Foundation, most of the Chechen fighters in Syria left Omar al-Shishani’s command in November 2013 for a “restructured” Army of Migrants and Supporters (also known as JMA for its name in Arabic-Jaysh al-Muhajeerin wa’l-Ansar). The organization is now under the leadership of another Chechen from Pankisi, Salahudeen al-Shishani. Al-Shishani, which means “the Chechen” in Arabic, is a patronymic adopted by most Chechen fighters abroad. Salahudeen was widely regarded as the representative of Doku Umarov’s Islamic Caucasus Emirate (ICE), and was personally chosen by Umarov — one of the most notorious Chechen rebels in Russia — to facilitate the unification of Caucasian fighters in Syria. Meanwhile, the first Chechen fighter to perish in Syria also had connections to Pankisi. Rustam Gelayev, who was only 24 years old when he was killed in Aleppo, was the son of Chechen field commander Ruslan Gelayev, also known as Hamzat. 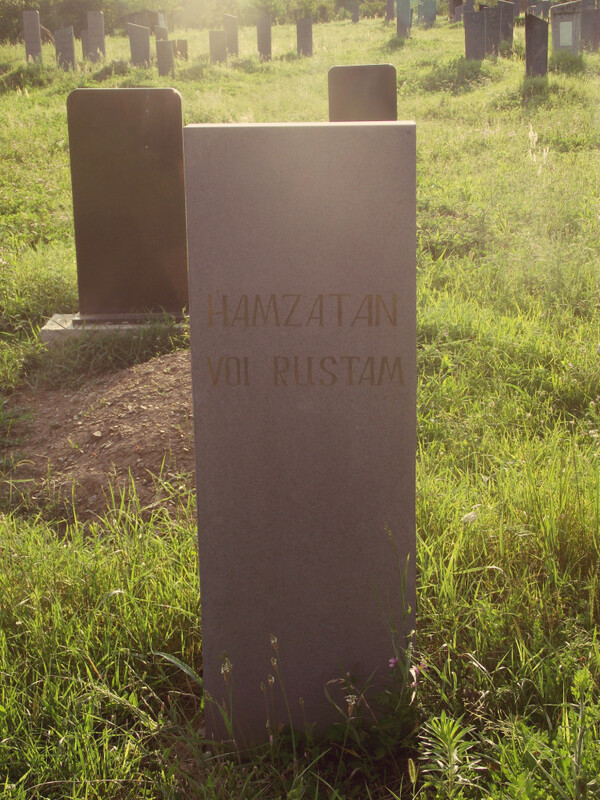 Hamzat played a major role fighting Russian troops during the wars in Chechnya and carried out numerous attacks from Pankisi before he was killed in 2004. 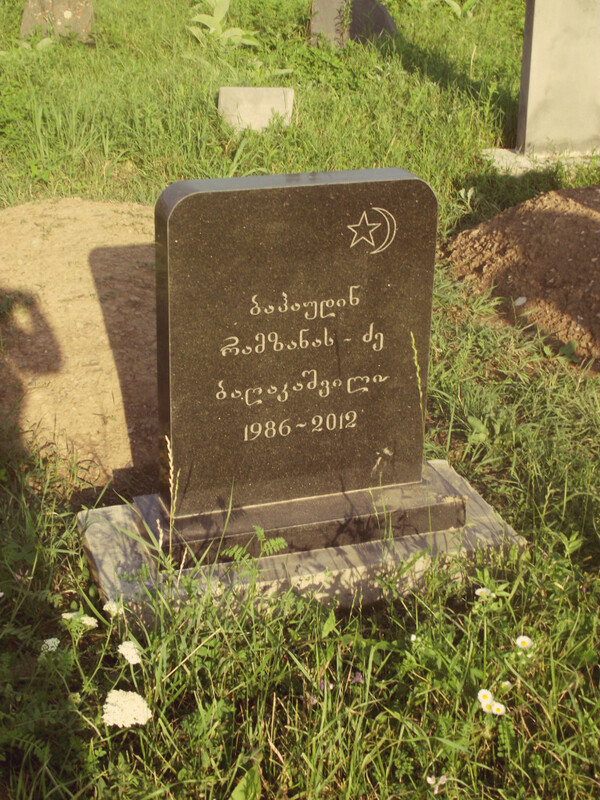 His son also lived briefly in Pankisi before his death in Syria in 2012. According to Abu Hamza, a Chechen who went to fight in Syria in 2012, there are around 100 Kists and Chechens from the Pankisi Gorge currently fighting in Syria. While the number of jihadists currently hiding in the gorge is small, observers worry that these individuals could be part of a larger network that expands across the Caucasus and Central Asia. Moreover, those currently fighting outside of Pankisi could eventually return home. “One day, it’s highly likely that many of these fighters will return to their home republics in the Caucasus, which will clearly generate a heightened security threat to that region,” Charles Lister, an analyst at IHS Jane’s Terrorism and Insurgency Centre, told the Wall Street Journal. 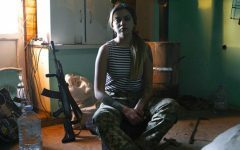 While reports suggest that ethnic Chechens suspected of participating in armed struggles have found it more difficult to enter Georgia regardless of their citizenship, Imam Murad claims that this is not the case. “They are returning by the will of Allah,” he smiled, raising his hands to the sky in a gesture of divine recognition as we sat in his garden over cakes and coffee. Most local residents in Pankisi claim to know at least one or two individuals who are either in Syria or have returned from there. Some analysts believe that it is the region’s isolation and its rampant unemployment that leave many youth susceptible to recruitment by extremists. When the Wall Street Journal interviewed the father of Omar al-Shishani, he said his son was a man with “no job, no prospects. So he took the wrong path”. The BBC also quoted al-Shishani’s father claiming that his son had left Pankisi due to poverty. Employees of the Kakheti Regional Development Foundation (KRDF), one of the only local non-governmental organizations working in the Pankisi gorge, also believe that unemployment is one of the area’s most urgent problems. The foundation’s director, Iza Bekauri, says that of the estimated 5,000 youth living in Pankisi, perhaps one percent are employed. Not only is it impossible for most of the region’s youth to continue their education due to monetary restrictions, there are no extracurricular activities or vocational courses for them to enrol in. Young people are thus left by the wayside, without a viable means to build a future or to forge community bonds. Local public schools occasionally offer opportunities to go on excursions, but these are only available to a select group of the most gifted students. Currently, the only affordable activity that provides a sense of community is joining the local mosque and studying Arabic. The KRDF hopes to provide young people with more opportunities by creating a safe space for youth to receive vocational training and spend their free time socializing. However, currently there are only between 100-130 young people studying computer skills and playing sports at the Duisi-based education centre run by the foundation. Additional resources are badly needed if the organization is to continue to promote the integration of youth in Pankisi. Meanwhile, the geographic location of the gorge ensures that the community remains isolated from other parts of the Kakheti region, to which the Akmheta district belongs. This, compounded with already acute religious and cultural differences, makes it difficult for locals to integrate with the rest of Georgia, leaving young people vulnerable to local extremists. 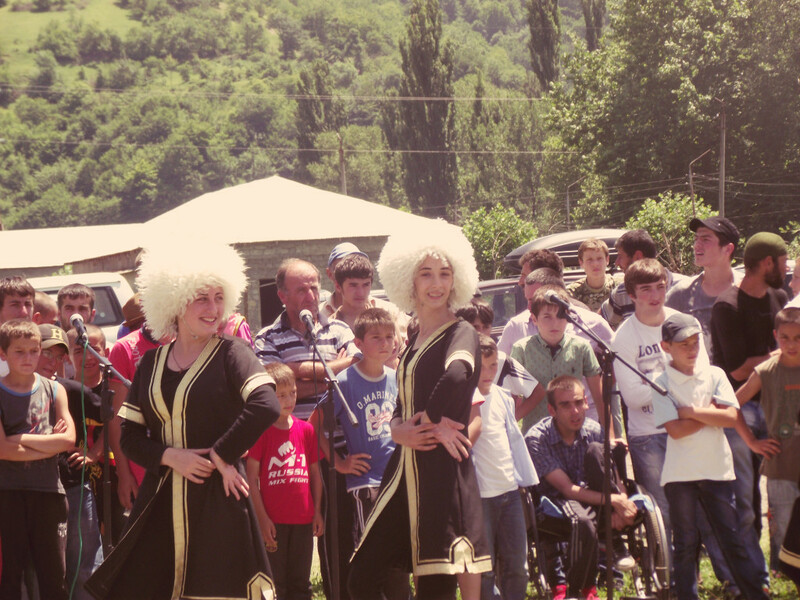 Community members say that many Georgian television programs don’t reach Pankisi, and youth opt to watch Chechen television instead. Local residents also note that since the war in Chechnya, the sharp increase in the number of practicing Wahhabis has coincided with a decrease in the number of mixed marriages between Christian Georgians and Muslim Kists and Chechens. Radicalization of small, socially excluded populations has become a thorn in the side of many larger nations, such as Russia. Locals believe that if Georgia is to avoid a similar fate, a number of steps will have to be taken to bring Pankisi’s youth back into the fold. As in most communities, however, the lines that separate the young from the old, and the Kist from the Chechen, are often blurred. While older Kist women don headscarves and dress modestly, their attire differs from that of some of the younger women covered head-to-toe in black burkas or in colourful hijabs, but this doesn’t prevent the two communities from intermingling. The groups of boys filling their water bottles at the communal fountains on World Refugee day include both clean-shaven youth and those wearing the traditional, wiry beard worn by Wahhabis. Meanwhile, bareheaded Kist girls call out eagerly to their bearded neighbours as they ride by on bicycles. Cristina Maza is a freelance journalist based in Tbilisi, Georgia. She frequently writes about media, politics, social issues, technology, and international relations. She's also a project manager at JumpStart Georgia, where she coordinates a variety of data journalism and visualization projects.